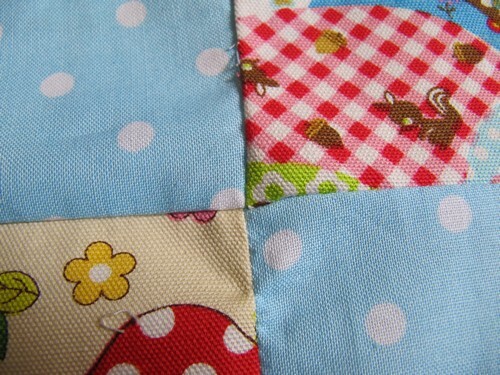 A while ago I started a quilt that ‘had’ to be finished by mid-September. I missed that dead line by a long shot! Anyhoo, today I picked it back up again and made a lot of progress! All that’s left is the hand quilting. 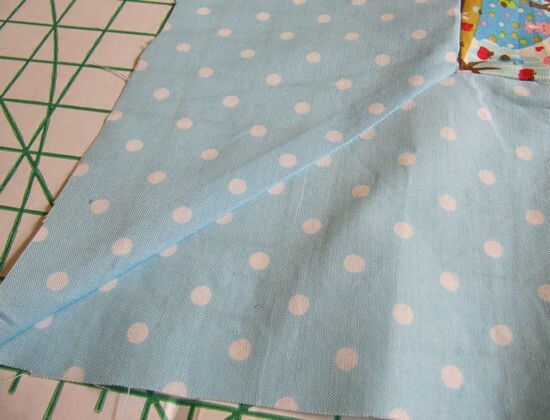 I designed the top myself and had originally planned to bind it, but then I saw this tutorial for a quilt in a day and thought that method would be easier and just as nice. 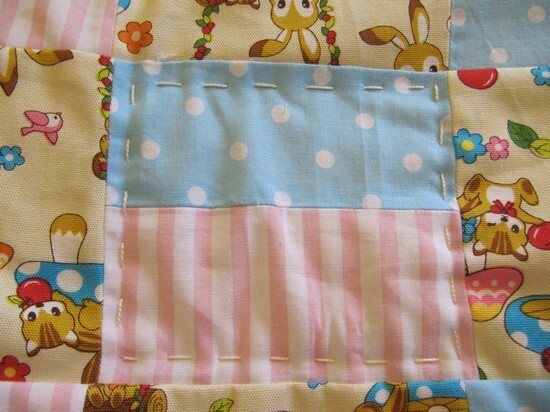 I didn’t topstitch mine round the edges and are quilting it differently though. 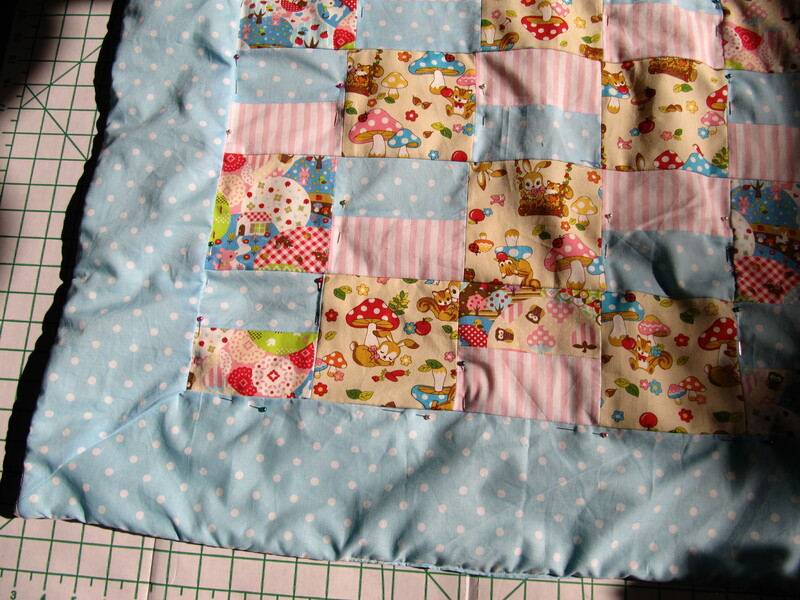 Pinned and ready for quilting and looking a bit rumpled! 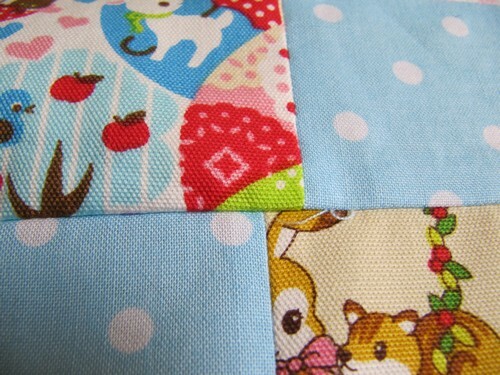 Mitered corners are easy – although I need to work on matching the pattern. Hand quilting is going to take a long time! Overall I’m happy with how it’s turning out. I almost didn’t quilt it and was tempted to leave it more like a comforter, but I think it needs the quilting to finish it off.